Over the past few articles, we’ve had a look at some short-lived and unpopular denominations, such as the Twenty Cent Piece, the $4 Stella and the Three Cent Nickel piece. Today, I thought we’d take a look at another short-lived design, although the denomination has endured for over two centuries. 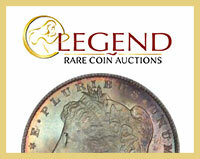 Our subject for today is none other than the Flying Eagle Cent. Why did this design have such a short run? The Coronet Collection saw record prices that smashed our estimates and the remainder of the sale also came in well above our expectations. Some of the prices realized may stun you as well. Two superb sets from The Bob Simpson U.S. Pattern Collection, the Morgan half dollar patterns of 1877 and $4 Stellas in all metals, will be displayed at the Professional Coin Grading Service booth during the American Numismatic Association Chicago World’s Fair of Money, August 11-15, 2015. These two sets are ranked as both the current and all-time finest of their kind in the PCGS Set Registry®, and this will be the first time they will be publicly exhibited. 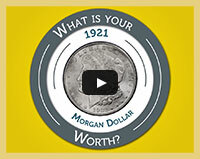 What is My Morgan Dollar Worth? 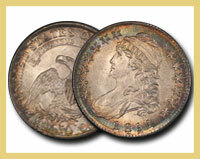 Finding out how much your Morgan Dollar is worth can be done quickly and easily. In one minute, we’ll show you how to do it, whether it’s in a PCGS holder or not. 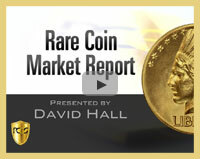 David Hall comments on the Baltimore show and talks about how you can find information on nearly any U.S. coin. 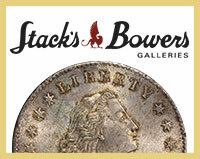 Stack’s Bowers Galleries and PCGS have highlighted some of the stars in the next installment of the Pogue Collection Auction. You’ll be amazed at some of the estimates.